Sales of match-worn jerseys from the recent Klassiker meeting between Bayern Munich and Borussia Dortmund have raised over 30,000 Euros for charity. The 36 match jerseys, used by every player named in the squad for the Matchday 28 encounter at the Allianz Arena, fetched a total of 30,960 Euros. The sum has been donated to the German Sports Aid Foundation (Deutsche Sporthilfe), which supports around 4,000 youth and elite athletes in as many as 50 disciplines. 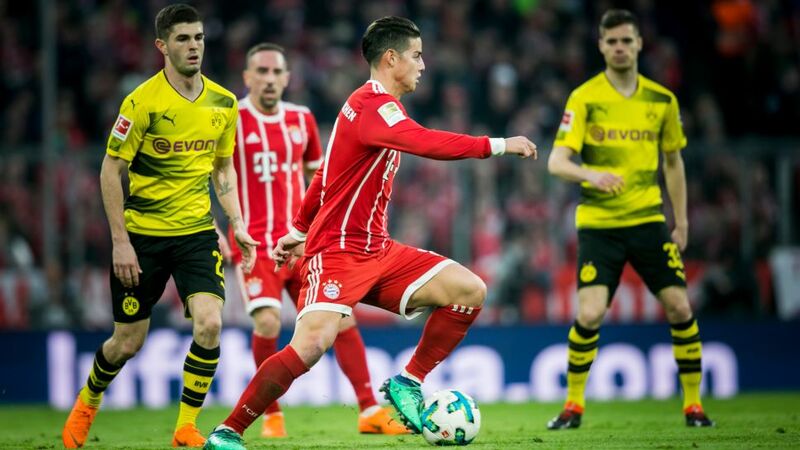 The highest-selling jerseys were that of Bayern stars Franck Ribery and James Rodriguez, whose shirts sold for 3,525 and 3,050 Euros respectively. FC Bayern and BVB raise a combined €30,960 for Sporthilfe. This record sum was raised from the shirt sales from the Bundesliga top game." The auction was performed directly after Bayern's 6-0 win by United Charity, Europe's largest charity auction website.